Improving your emotional intelligence is something you can train day by day. Follow these simple steps to become better at it, but remember, practice and regularity is key. Self-knowledge. It has to do with identifying feelings, what are your desires and fears. Knowing ourselves is the key to develop emotional intelligence. If we are not aware of our emotions, we can not express them or communicate them. 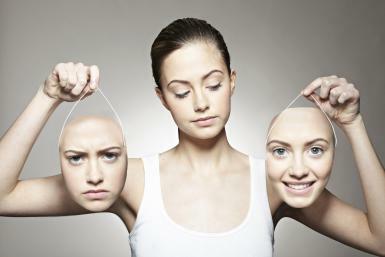 Ask yourself what relationship you have with your emotions? They are accompanied by physical sensations? Self-control. To be able to handle your emotions you must know them. Make a list of your strengths and your negatives. It is important to strengthen the positive aspects and work with negatives. Look for the positive side of negative feelings and starts from there. Manage stress. Stress, often exceeds our ability to see things clearly. For this reason, it is important to try to reassure us to handle it. First, it is necessary to identify it, then to detect which is our response to him and reflect how we can modify this answer by a positive. Communication. Assertive communication is a fundamental part of emotional intelligence. This concerns not only what we say but also what they do not say, that is, non-verbal communication. We have to convey confidence in others work what we transmit with our gestures, expressions and words. Empathy. It has to do with the recognition and acceptance of the other’s feelings. Empathy generates positive effects in others who then come back to us. Resolution of conflicts. The best way to resolve conflicts, is to identify and reflect on them. If we use the knowledge referred to above, we can deal with them in a positive way and learn from them. This article is purely informative, in Dinzie we have no power to prescribe any medical treatment or perform any type of diagnosis. We invite you to see a physician in the case to present any kind of condition or illness.